I love the family-friendly side of Halloween but not so much the spooky side. No matter how old I am, I’ll always stick to the kid-friendly side of Halloween and avoid those terrifying haunted houses. 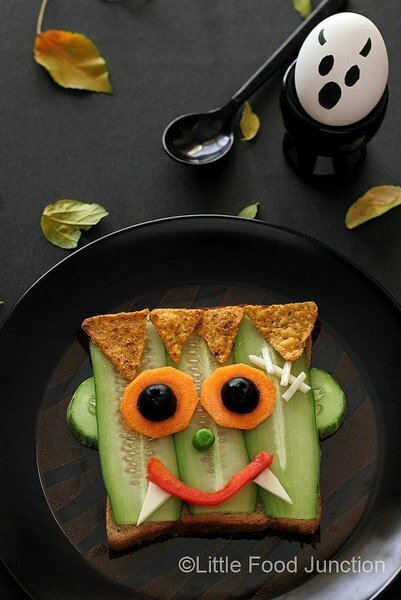 This collection of Halloween food for kids is adorable with just the right amount of spook for Halloween. This is a fun collection from other talented bloggers. To view the full details on each, simply click the title of the recipe and it will open in a new window for you. Be sure to pop over to our Halloween Fun page for even more creative ideas! 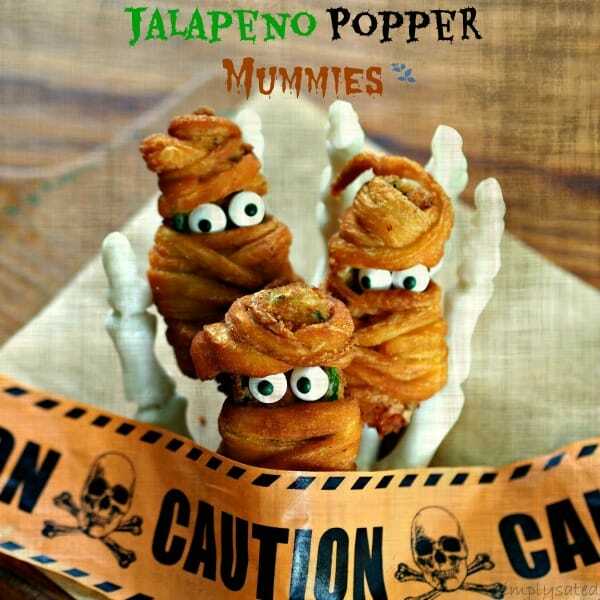 These Jalapeno Popper Mummies (pictured above) by Simply Sated could not be any cuter! Even the adults would love these at a Halloween party. 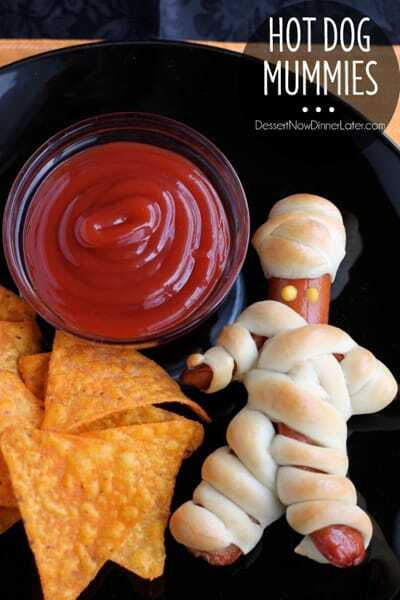 These Hot Dog Mummies by Dessert Now Dinner Later are so adorable! I think we’ll have to toss out the “no playing with your food” rule with this meal. 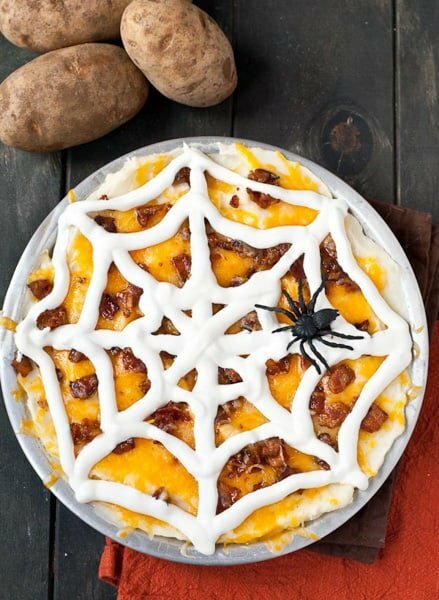 I love the creativity in this Loaded Mashed Potato Spider Web Casserole by Neighbor Food. I don’t know if I could get mine to be so pretty though! Homemade chips with dip…yes, please! 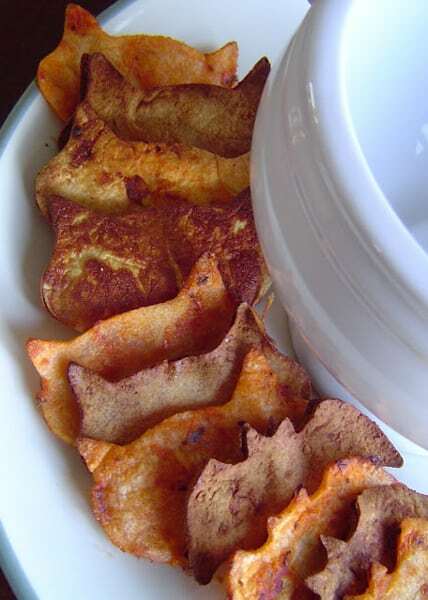 I’d have to hide these Homemade Halloween Chips by Simply Designing from my husband or they may all “disappear” before I get a chance to taste them! 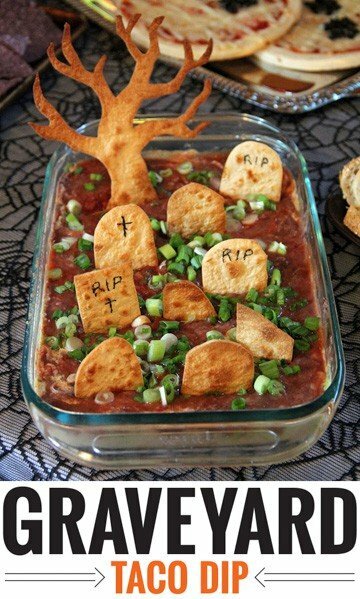 I love taco dip and this Graveyard Taco Dip by Joe & Sue featured on Chickabug is absolutely perfect for Halloween. This would be awesome at a Halloween potluck party! Seven layer dip is delicious – that’s why you see it on most party buffet tables! 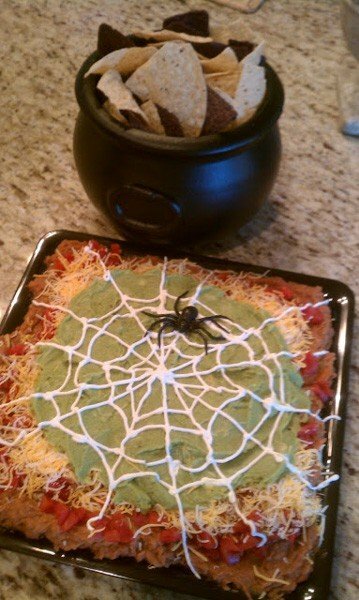 This Halloween Five Layer Dip by Stylishly Ever After is a fun twist on a popular appetizer. These Funky Frankensteins by Little Food Junction are both fun & healthy! This is a brilliant way to get your kids to eat their vegetables! 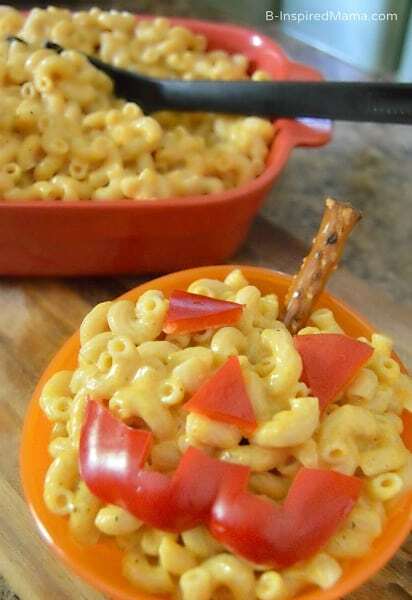 B-Inspired Mama put an added ingredient into her Mac & Cheese…do you think her family noticed in this Pumpkin Mac and Cheese meal? Love the way it’s decorated! 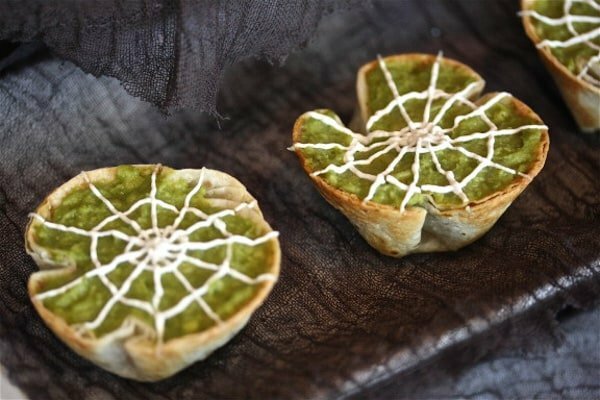 These Cobweb Nacho Bites by The Hopeless Housewife look like they would be a lot of fun to decorate. 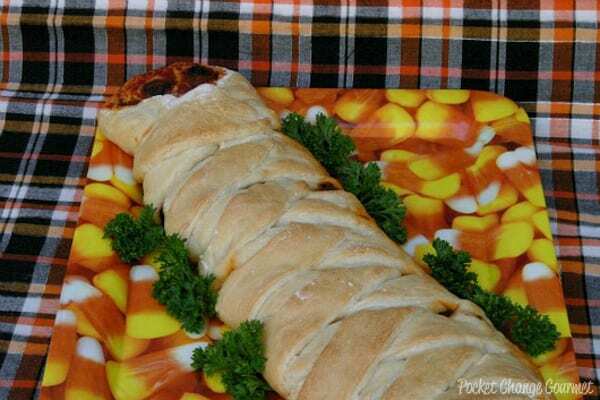 This Mummy Calzone by Pocket Change Gourmet looks like such a fun & shareable family meal. 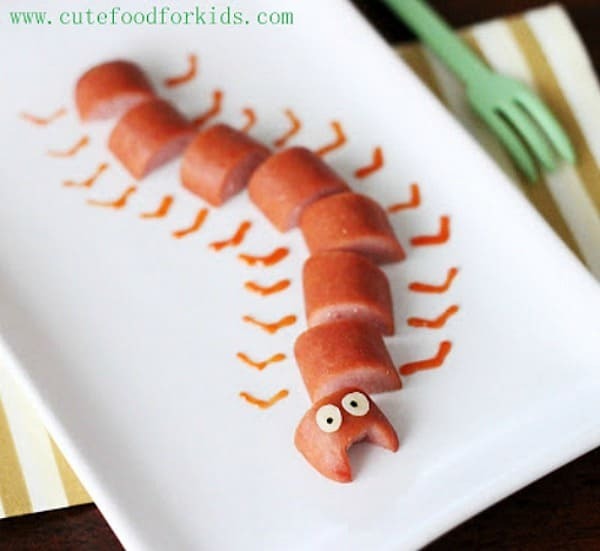 I have a feeling that after you serve this Hot Dog Caterpillar by Cute Food for Kids once, they’ll always ask for hot dogs to be served this way. It’s such a fun meal for kids! 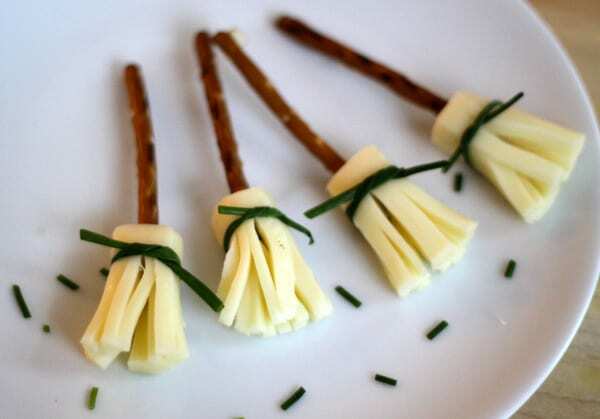 These String Cheese Witches’ Broom by Foodlets are perfect for an afternoon snack. Don’t forget to visit our Halloween Fun page for even more creative ideas! We’re always adding new ideas for celebrating holidays with your family. Stay updated on the latest by following us on Facebook, Twitter, Pinterest, Google + and Bloglovin’. You can never eat too many mummies. Mummies for dinner and blood for breakfast.